Lag B’Omer – The Bonfire Holiday! So we’re going to take a brief intermission from Mother’s Day Week (sorry Mom!) to celebrate the Jewish Holiday of Lag B’Omer. 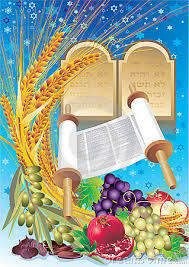 In English, the name of the Holiday translates to the 33rd day of the counting of the Omer. Lag, or the Hebrew letters Lamed ל and Gimmel ג, have a numerical valuation of 30 and 3, respectively, and this Holiday celebrates the break in the counting of the Omer, or the period between the Holidays of Passover and Shavout (the holiday where we received the ten commandments, and the rest of the laws, at Mt. Sinai). Lag B’Omer is traditionally celebrated with bonfire celebrations, family picnics with the children playing with imitation bows and arrows, and the eating of Carob. So what is so special about the 33rd day? And why the bonfires, bows and arrows, and Carob? Well, let me explain (thank you Chabad.org!). There are two main reasons why we celebrate this day. The first (in no particular order) explains both the day and the bonfires. During the 2nd Century, there was a great Jewish scholar known as Rabbi Shimon bar Yochai (c.100 – c. 160 CE). He was a great Kabbalist, and shed a powerful light on the world through his mystical teachings. It is said that the secrets of the Torah that he revealed to his disciples was so profound and intense that his house was filled with fire and blinding light, to the point that his students could not even approach or look at him. Rabbi Shimon stated that the day of his death, the 33rd day of the Omer, should be a day of great joy, not sadness, for he was moving on to the World to Come. So to commemorate is death, we have great celebrations, and light great fires that emulate the fire of Torah and knowledge that Rabbi Shimon was famous for. So what’s the second reason for the 33rd day? During the time of Rabbi Akiva (c. 40 – c. 137 CE), during the weeks between Passover and Shavout, a great plague ran rampant amongst his students, “because they did not act respectfully towards each other.” Therefore to this day, the Jewish nation treats this time period (7 weeks) as a time of mourning with no joyous activities. However, by a miracle, on the 33rd day of the Omer, the deaths stopped, so we treat this day as joyous one, careful to remember to treat every fellow man with love and respect. Okay, so that’s why this day and the bonfires, but the bows and arrows? The carob? It is a tradition for Children to go out into the fields and play with imitation bows and arrows. This is in remembrance of the Midrashic tradition that no rainbow was seen during Rabbi Shimon’s lifetime. Rainbows first appeared after the great flood in the time of Noah, when G‑d promised to never again devastate the world. When the world is deserving of punishment, G‑d sends a rainbow instead. Rabbi Shimon’s merit protected the world, rendering the rainbow superfluous. The children’s bows are a tribute to the “rainbow” that Rabbi Shimon’s presence gave us. As for the Carob, this is in remembrance of a lifesaving miracle that Rabbi Shimon experienced. For 13 years, Rabbi Shimon and his son were fugitives from the Romans, and hid in a cave in northern Israel. Food was scarce and hunting was dangerous, should they be caught. G-d intervened and created a carob tree that grew at the entrance of the cave, providing nourishment for its two holy occupants. So, I hope that explains why we celebrate Lag B’Omer, and how we do it too! For today, I’m posting two recipes, a barbecue chicken, in honour of the bonfires, and a delicious non-dairy carob cake! I hope you enjoy! So a couple of years ago, when the Downton Abbey kick was in high gear, we decided to do High Tea for my mother for Mother’s Day. My mother has always enjoyed the simple elegance of a High Tea service, and we thought we’d go all out. 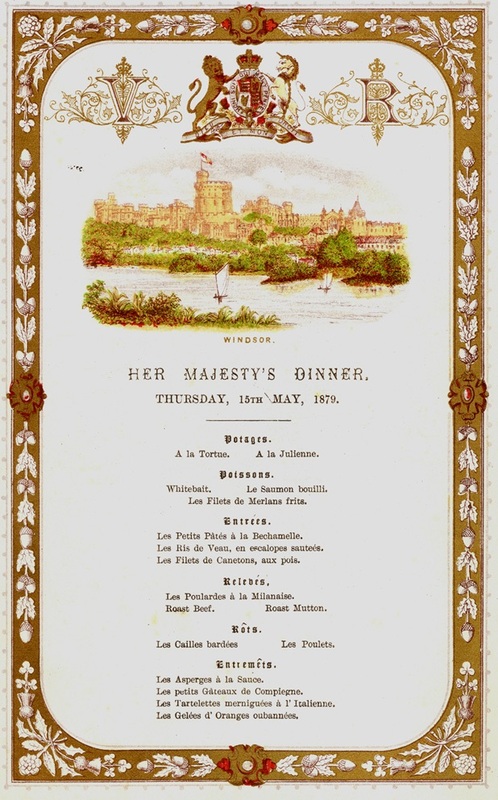 That year, Bon Appétit Magazine actually published a bit of a how-to on all the accoutrements that go along with a service, including some yummy tea sandwiches (small bite sized sandwiches), an amazing savoury tart and a lovely scone. I will be re-posting them this week, with a few tweaks, koshering ingredients when needed, or adjusting to suite tastes. I hope you (and your mother) enjoy them as much as we did! 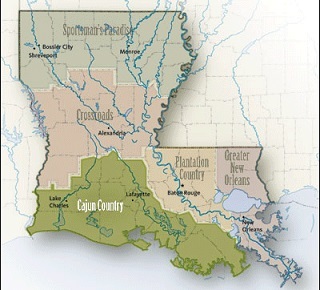 So there is a cultural demographic located in the southern United States know as Cajuns (pronounced KAY-jun). This group of people celebrate a rich and fascinating history, filled with their own language, music, religious leanings, and of course, foods! So what does Canada have to do with this? Quite a lot actually. Back in the day (y’know, around 1710), the British overtook the section of what was then called French Acadia (now the maritime area of Canada). Over the next 45 years, the Acadians (pronounced Ah-KAY-dee-yans), loyal to the French, refused to sign an unconditional oath of allegiance to Britain, and in fact did everything they could to participate in militia operations against the British. The British, not appreciating the local rebellion, began to deport the Acadians from Acadia, in what became known as “The Great Upheaval” or “Le Grand Dérangement”. While some moved to France, or other parts of Canada, a large contingent moved to the region of Atakapa, in present-day Louisiana. Over time, the term “Acadians” became “Cajun”, and the Cajun people flourished in the warm climate of Louisiana and it’s Bayous. While there are endless topics that I could focus on within the Cajun world, this week, I’m going to zero in on the food! So this week, look forward to Jambalaya, Gumbo, Dirty Rice and more! I’m sure by now most of you are pretty sick of eating meat meals… and with some more days of Yom Tov coming up, you know you’re going to be having beef, chicken and turkey all over again! 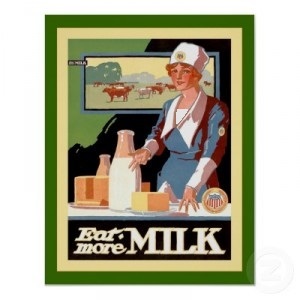 How about some dairy meals for a change? Today I will be posting two dairy dishes, that can be served together, separate, however you like! Hope this breaks up the monotony! Foods that Scream Passover! – It Starts Tonight! 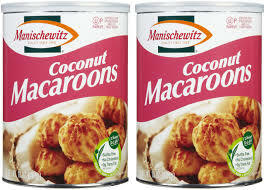 So there are certain traditional foods that just scream “Passover” to me. Here are a few for your viewing pleasure! 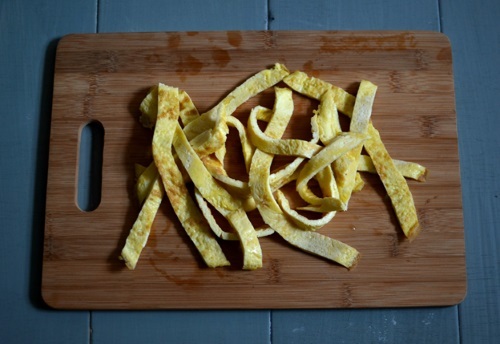 Since flour-base noodles are out, many people make thin crepe-like pancakes out of eggs and potato starch, which they then roll up and cut into strips, forming kosher-for-Passover noodles (“lokshen” in Yiddish) which taste marvelous in chicken soup. 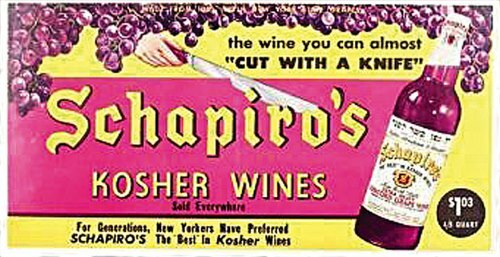 At one time, this kind of wine was so ingrained as a Jewish wine preference that Schapiro’s Wine advertised (in Yiddish) that their wine was so thick you could almost cut it with a knife! Thankfully, there are hundreds of high-quality kosher wines out there, but we respect the traditionalists who like the old thick stuff. I personally never really got these… I don’t see the temptation, but I know those that would fight over the last one of these strangely sweet, sugary treats. These are my personal favourite at the seder table. 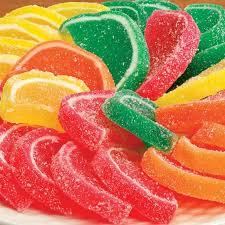 These are the old fashioned treats that everyone had before the Israeli Ossem soup squares became main stream. What are your favourite Passover Foods? I hope you have them this holiday and I wish you and yours a healthy and happy Passover! Chag Kosher v’Samayach! Okay, so for this first time that I can remember, in my entire life, we will not be having Matzo Balls in our chicken soup at the Seder. Let me explain to you the seriousness of this… it’s like an 11th plague has hit. Why you ask? Well, last year (around this time actually), my baby sister married an amazing, wonderful man, who comes from a likewise amazing, wonderful family. The downside to this obvious blessing? My new brother-in-law does not eat Gebrokts. What are/is Gebrokts? Gebrokts is a Yiddish word that refers to Matzo that has come in contact with water. It literally means “broken,” and it has come to mean “wet Matzo” because Matzo is usually ground or broken up into crumbs before it is mixed with water. Those who refrain from eating Gebrokts (not everyone has this custom, it is mainly certain sects of Ashkenazi Jews, specifically what are known as Chassidim) on Passover do so for fear that during the baking process there may have been a minute amount of flour that did not get kneaded properly into the dough. Upon contact with water, that flour would become Chametz. The custom of not eating Gebrokts gained prominence around the end of the eighteenth century. At that time, people began to bake Matzos much faster than mandated by the Rabbis, in order to be absolutely sure that the dough had no chance to rise before being baked. The flip side of this stringency is that the Matzo we eat today is not as well kneaded as Matzo used to be, and it is very possible that it contains pockets of flour. 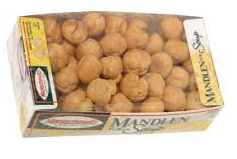 Those who are careful with Gebrokts don’t eat Matzo balls, Matzo Brei (an egg and Matzo bake), or Matzo anything; in short, they do not cook with Matzo at all. Also, when there is Matzo on the table, they are very careful to keep it covered and away from any food that may have water in it. 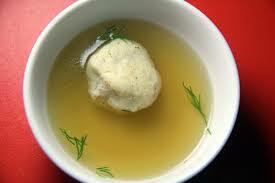 Drinks, soups, and vegetables that have been washed and not thoroughly dried, are all kept far away from the Matzo. On the eighth day of Passover, which exists only outside the Land of Israel, the Gebrokts stringency doesn’t apply, and all feast on Matzo balls and Matzo Brei, and dip their Matzo into soups and salads. In fact, many have the custom to try to eat their Matzo with as many liquids and wet foods as possible. The simple reason for this is that the celebration of the eighth day is of rabbinic origin, rather than Biblical origin. Chabad, where I got the above information has a great article on the spiritual reasons for Gebrokts that I definitely suggest checking out! Click here to read it. So, to sum this all up, since my mother, the hostess of our Seder, is kind and wonder cook, and doesn’t want to exclude people from parts of the meal, we will refraining from Matzo Balls this year, along with Matzo Farfel, Matzo Meal in various recipes… well, you get the idea. It’s a good thing my new brother-in-law is worth it! So, as you know, during the holiday of Passover, no leavened products, especially items like bread, can be eaten. Instead we eat Matzo, and A LOT of it! Modern day Matzo is a dry, cracker like item, made of flour and water. Machine processed matzo is square in shape, with lined perforations running about half a centimeter apart, and is about a quarter of a centimeter thick, or less. I’ve heard rumour however of a time when Matzo was soft, flexible and more like a pita or laffa, rather than the dry cracker (read: cardboard) that we eat now. So what’s the deal? Here’s the deal: Once upon a time, yes, Matzo used to be thicker and softer, however…. here is the nitty gritty on how this has changed and become what we know now a days as a thin, dry, hard cracker-like food. For centuries, Jews have been debating the thickness of Matzo. In the Talmud, there is a record of a discussion between the students of Shamai and Hillel regarding the allowed thickness of Matzo, being as thick as a handbreadth (about 2 ½ to 4 inches or 6 to 10 centimetres). In the end, Jewish law follows the school of Hillel, which allows the thicker Matzo, however, all halachic authorities agree that a thickness of a handbreadth or more is not acceptable. Thick Matzo is susceptible to becoming Chametz because of the baking time needed to fully cook it (Matzo must be completed and out of the oven within 18 minutes of the flour and water first combining). Conceptually, we are supposed to be eating “lechem oni” or “poor man’s bread”. A thick luscious bread is not considered that of a poor man. Thicker Matzos use a higher ratio of water in the recipe, making them softer. This allows for the Matzo, left over time to become hardened and possibly moldy. There is even an incident discussed in the Talmud where a moldy loaf is found on Passover, and one can’t tell whether it’s bread or Matzo that has rotted. Was this a missed loaf of bread or a kosher Matzo that has spoiled? 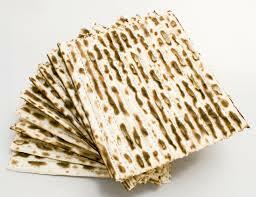 Our cracker-like Matzo would be easy to identify. While some Jews of Middle Eastern descent still make their Matzos thick and soft, the overwhelming majority of Matzos today are hard and thick. Over the years, especially once Matzos started being made predominately by machines, rather than by hand, the Matzo has gotten thinner and thinner, until we get the cracker that we have today. 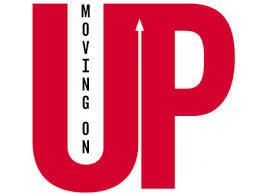 Chabad has a great (but too lengthy for this blog post) article all about the thinning down over the years. You can read it by clicking here. I will also talk a little bit more about this in tomorrow’s post on Gebrokts or the custom of not allowing your Matzo to become wet. Tune in tomorrow to find out more!